UK Landlord Personal Injury Claim Specialists & Free Advice. How Much Compensation Could I Claim From My Landlord? According to the Royal Society for the Prevention of Accidents, over 6,000 deaths occur annually as the result of accidents in the home, while millions of people are taken into Accident and Emergency rooms to treat injuries they have suffered without leaving the house. This results in an estimated cost to society of £45.63billion. However, if you have suffered from an accident at home, it may not have been your fault. If you live in a rented property – rented either privately or from the local council – and your accident occurred as the result of negligence from your landlord, you could be eligible for compensation. A guide to claims against landlords. 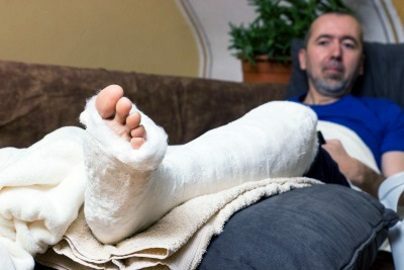 What is a tenant injury claim? What to do if you are involved in an accident and need to claim against your landlord? How to begin a tenant injury claim against your landlord. Common injuries sustained in the home. Claiming compensation for an accident that was the fault of your landlord. Judging the severity of an injury caused by your landlord. Tenant injury claims against the council. What can be claimed for against your landlord? How much compensation will I get from my landlord? No win, no fee tenant injury claims. Why choose us as your claims service for a tenant injury claim against your landlord? This guide exists to provide you with extensive and comprehensive information regarding a tenant accident claim against your landlord. It will inform you of the steps you need to take in order to make your tenant injury claim and the potential issues and benefits that could come about as result of your claim. If you are a tenant suing landlord for negligence, it could provide the information you require to make the most of your claim. The guide will additionally make an argument for why you require the support of a professional Claims Service and illustrate why we are by far the best company to get you through the claims process, getting you the tenant injury compensation that you deserve. If you have suffered an injury as the result of an accident that occurred on your rented property and you believe that it was the fault of your landlord, you may wish to make a tenant injury claim in order to potentially receive compensation. A tenant injury claim is a personal injury claim aimed at your landlord for acting in a negligent manner. Specifically, they may have been ignoring the standards set by the Landlord and Tenants Act of 1985. Your landlord can only be considered responsible for your accident – and thereby liable to pay you compensation – if they have acted in a negligent manner as determined by these (and a number of other) laws. For example, you could have suffered from a lung illness as the result of mould that has developed inside your privately rented flat. If your landlord did not properly remove the mould – especially if you previously brought the dangers of such mould to their attention – then they could be considered responsible for your illness. However, you may be unable to make a claim for compensation from landlord for mould and other issues if you cannot prove that your landlord was responsible. If your landlord took the appropriate measures in dealing with the mould – such as hiring a mould removal company – and these measures failed, your landlord may not be required to pay compensation for mould and damp. If you are unsure about the legality or legitimacy of your claim, contacting a law firm can clarify the matter. If you are involved in an accident at home and need to make a tenant injury claim against your landlord, you should primarily make sure that you are eligible to make a claim. If more than 3 years have passed from your accident (or from the diagnosis of your injury if not immediately apparent) then you typically cannot make any kind of personal injury claim in relation to that accident. If your accident or the diagnosis of your injury has occurred within the past 3 years, then you are not automatically excluded from making a tenant injury claim due to the tenant injury claim time limit. However, even in this case, you will need to complete further steps in order to maximise the odds of your claim being successful. Firstly, you will need evidence that supports the most fundamental aspect of your tenant injury claim. This can include witness reports from others who saw the accident happen. For example, if you fell down a poorly maintained staircase while friends were staying for dinner, they could give statements in support of how you claim the accident happened. With tenant injury claims, however, this can be particularly difficult. As most injuries in the home occur when you are alone, it can be very difficult to provide evidence for the circumstances of your accident. However, this is acknowledged within the boundaries of your claim and, as such, requires less definite evidence than other aspects of your claim. Secondly, you will need to find evidence that your landlord was responsible for your accident. This could include specifically citing a duty of care which your landlord ignored, eventually leading to the accident. For example, if you suffered from burns as a result of a faulty gas pipe (a fault which you brought to your landlord’s attention) they would have acted negligently in not providing you with adequate maintenance. Thus, they could more easily be considered to be responsible for your accident and may be liable for a claim. Thirdly, you should ensure that you have evidence in support of the severity of your injury. The most common evidence used for this is a medical report by a General Practitioner (if the injury/illness was only of minor or moderate severity) or Emergency Medical Technician (if more immediate health care was required). Working through this process can be very helpful in establishing a viable compensation claim in the early stages of the case. You may be wondering how to claim compensation from your landlord and how you should begin your tenant injury claim. When making a compensation claim against your landlord, you will need the support of an excellent Claims Service. This Claims Service will work tirelessly to maximise your chances of receiving the compensation that you deserve and attempt to minimise the hardship that is caused to you as result of your tenant injury claim. However, before you get into contact with any Claims Service, you will need to gather the necessary evidence to support your claim. These steps are outlined in the previous section and this evidence could include almost anything relevant to your tenant injury claim. However, evidence in support of the severity of your injury is particularly important. Once you have gathered the evidence that you need, you should then begin evaluating different Claims Services. If you choose our company as your Claims Service, we can then offer you a free consultation session to talk about your tenant injury claim. In this session, we will assess how valid we believe your compensation claim to be and provide an honest evaluation of its chances of being successful. After this session, you can choose us as your Claims Service. If you do, we can proceed with bringing your compensation claim to court and do our best to get you the compensation that you deserve. For anyone considering a potential compensation claim, learning about the most common injuries sustained in a home can be helpful. If you have suffered from any of the following injuries, you may have a claim. The most common injury that is sustained in the home happens at the result of falling objects, particularly from the structure of the house. For example, you could have suffered a moderate head injury as result of an improperly maintained beam in your attic falling onto you. The second most common injury that can be sustained in the home comes from falling or slipping. For example, poorly installed floorboards could easily rot away and cause you to have a fall, resulting in a minor leg or back injury. The third most common injury that is sustained in the home is a burn, either minor or major. For example, if the plumbing of your house was improperly installed and maintained, hot water could leak out of the pipe and burn your skin. Though your injury might not be exactly like any of these three examples, they should provide an indication of the types of injury which can be compensated. When you are attempting to make a tenant injury claim, one of the most important considerations is whether or not your landlord has acted in a negligent manner. The issue of how to prove landlord negligence can be confusing without research and a good understanding of the British legal system. Your landlord can only be considered responsible for your accident if they have acted negligently by ignoring the standards set by the Landlord and Tenants Act of 1985. If they are not in breach of this act, nor the duty of care they have towards tenants such as yourself, then they likely cannot be considered legally responsible for your accident. To highlight the difference, please consider the following example. You have suffered a serious leg injury as a result of the collapsing floor of your rented property. While you may believe your landlord to be responsible for such damage, if they took the required precautions concerning the floorboards, such as having them regularly maintained, then they may not be acting in a negligent fashion. However, if your landlord failed to provide adequate repair work to the floor then they could be considered responsible as result of negligence. In order to determine negligence, a court case may be required. If you make your tenant injury claim against your landlord, regardless of whether your landlord is private or public, you should know the main aspects of your claim that will affect your compensation. The aspect that most directly affects your compensation, as result of the weighing of a tenant injury claim calculator, is the severity of your injury. This is why it is vitally important that you receive a profession medical assessment of the severity of your injury, a service that our company can arrange for you. However, you may not want to commit to such a rigorous process before you have begun your tenant injury claim. Minor injuries include concerns such as minor ligament damage or persistent joint stiffness. Minor injuries are not considered to be traumatic and tend to heal without major medical assistance. As such, they typically have small compensation awarded. Moderate injuries include such concerns as loss of finger dexterity and partial loss of sight in one of your eyes. Moderate injuries can be helped without complex surgery, even though they can have a long-term effect upon you. As such, they typically have a medium-sized amount of compensation awarded. Severe injuries include such concerns as complete loss of limbs and loss of memory function. Severe injuries can have a major traumatic effect upon you, typically causing permanent physical and psychological damage. As such, they tend to have a large amount of compensation awarded. However, it is important to remember that these general points should not ever replace a medical assessment. Not only will a medical assessment ensure that you receive an accurate and justifiable understanding of the severity of your injury, it also will give you peace of mind concerning the limits of your injury and how it could affect you in the future. According to the Office for National Statistics, over 16% of people living in the United Kingdom are living in council-owned housing. If you are one of these people and believe you could make a tenant injury claim, you may be scared of challenging the authority of your local council and potentially losing your housing. However, you should not live in fear of making your tenant injury claim. With regard to such claims, the tenant injury procedure for the council is identical and your local authority is treated exactly the same as any other landlord would be. If you believe that you have a valid tenant injury claim against the council, you should follow the same steps highlighted in this guide. Firstly, prioritise the gathering of evidence to support your claim. Then, contact a Claims Service such as our company that is experienced in dealing with tenant injury claims against local councils. General damages – including unspecified damages such as emotional suffering as the result of the injury, effects that long-term pain has upon your life, and even any loss of professional reputation stemming from the injury or the medical treatment of the injury. Special damages – including measurable damages such as wages you have lost as the result of the injury, the cost of hiring a nurse or carer, and the damage to your property, such as furniture. Medical costs – including the cost of medical tests and treatments which are either not covered by the NHS or sought from private or overseas healthcare providers. Travel costs – including the cost to travel between your home and hospital appointments and any other travel costs incurred. With the right legal team, you can be certain that you are claiming for every possible cost incurred by your injury. If you are dealing with an injury that you suffered at home at the fault of your landlord, the most pressing issue about your potential tenant injury claim is how much compensation you could receive. It is very difficult to give precise figures when estimating settlement amounts. Cases can have many unique circumstances that must be taken into consideration. However, it can be generally said that the type and severity of your injury will likely impact the amount of compensation you could receive. As demonstrated in the table, the amount of compensation you could receive depends on the idiosyncrasies of your case, especially the severity of the injury. This is why our free consultation session can be so useful, providing an expert evaluation of the situation. In 2014, this claimant suffered from moderate spinal cord injuries as the result of a leaky roof, which caused them to slip and fall. They had previously informed their landlord about the leak and the landlord had failed to adequately repair it before the accident occurred. The claimant received £2,000 compensation from the letting agency that owned the property, due to the severity of their injury and the limited medical costs that resulted from their injury. While this case is only a single example of a tenant suing landlord for negligence, it illustrates the general process of making such a claim. When you are considering a compensation claim against your landlord, one of the most challenging issues that could arise from your tenant injury claim is the cost of legal services. Your Claims Service could potentially impact your life during a period in which you need as stability and time to recover from your accident. Our company will do our best to minimise the stress that you experience during the claims process. Our ‘No Win No Fee’ Policy will ensure that we provide you with the support you need and the help needed to maintain your financial and emotional stability throughout this difficult period in your life. This policy, also called a ‘Conditional Fee Agreement,’ ensures that we will do our best to win your case and get you the compensation you deserve. As a result, the risk of making a claim is much lower. If you choose to make a tenant injury claim against your landlord, you will need the strong support of our company, providing you with expert insight, professional support, and reduced financial risk. Our years of experience in dealing with tenant injury claims makes us one of the most capable companies for dealing with compensation claims against landlords. This experience has given our team of legal experts the knowledge of how to efficiently and professionally deal with your tenant injury claim, giving you relevant and accurate advice along the way. Along with our free consultation sessions, our ‘No Win No Fee’ approach, and our ability to arrange a local medical evaluation for you, we put your well-being as our first priority. It’s what makes us such an effective, reliable option when making a compensation claim. To find out more, call 0800 073 8804 now. Alternatively, let us know about your case using the contact form on our website. Our company is primed to provide you with exemplary advice concerning your tenant injury claim, so let us help you with these issues and choose us as your Claims Service. Visit this page for more information on making a complaint against the Housing association. Do you want to put a complaint in about your landlord? visit this website for more information. Do you feel that your local council service hasn’t been properly delivered? here is how you can make a official complaint. More information on how to file a complaint if you are renting a house private. Slip Trip or Fall Claims – Find out if you can claim. Have you had a slip trip or fall accident? in a house or private property contact us today and find out if you can claim compensation. Have you suffered from a electric shock due to your landlord being negligent? Find out if you can claim compensation.